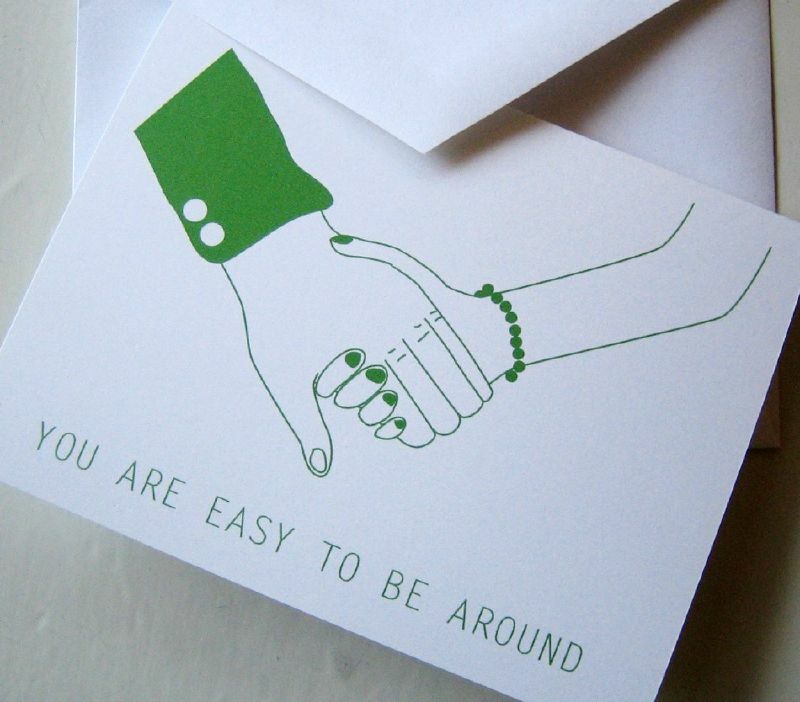 This card is so sweet from The Beautiful Project, I simply can't resist: You Are Easy To Be Around. I have to order one for my husband because it's exactly how I feel about him. We deserve to find at least one special person who is easy to be around. Whether a life partner, a good friend, a parent, even a pet. Imagine this card with one hand being a paw? That would be a cute print, or a great poster for a rescue shelter. :) Did you know that The Beautiful Project has a sale going on until December 1st? I almost forgot to tell you - buy 3 cards, get the 4th free!